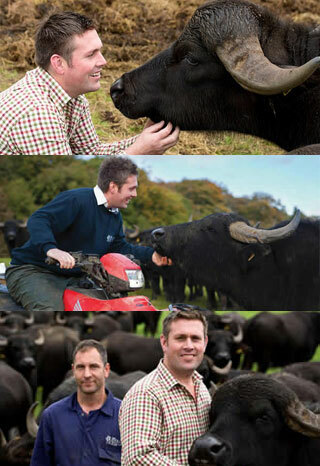 The Buffalo Farm is delighted to unveil its plans to launch Scotland’s first authentic Scottish Buffalo Mozzarella. It’s always been part of the vision and we are now looking at an ambitious development programme to turn our dream into a reality. One of the reasons for this venture is that virtually all of the buffalo mozzarella sold in the UK is imported from Italy, and here at The Buffalo Farm, we're all about enjoying fresh local produce - so we want to offer this to our customers and encourage more shopping locally. Mozzarella is also one of the top selling Continental cheeses in the UK and we think there is a massive opportunity to create something really special in Scotland. We are now looking to receive expressions of interest from retail outlets, farm shops and restaurants who would be interested in stocking and using our products. Please let us know how you would like to be contacted. Please note, if you select that you would not like to be contacted further, we will not be able to send you updates on the project.